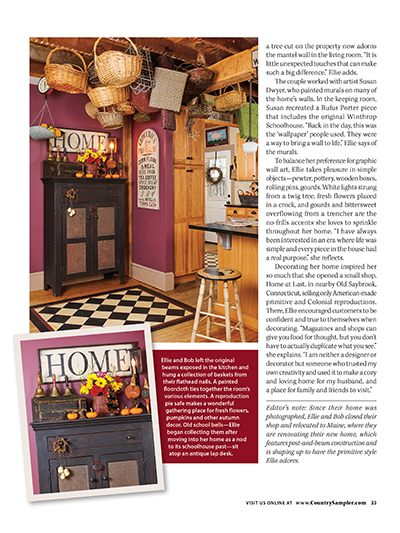 Fill your home with the rich colors of the autumn landscape inspired by the harvesttime displays and cozy rooms glowing with warmth in our September 2018 issue! 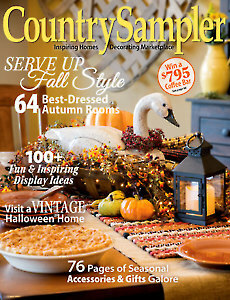 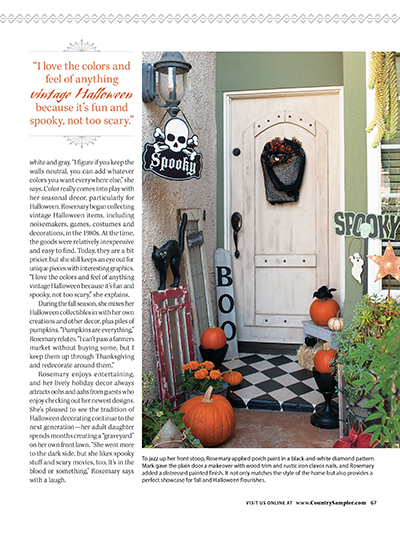 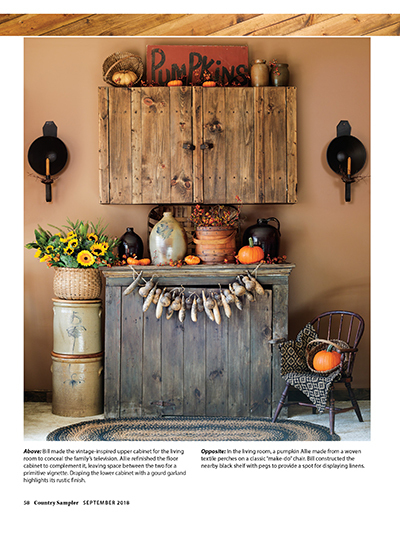 Tour five gorgeous country homes brimming with fall and Halloween decorating delights—and enjoy the festive fall decorating accessories in Country Treasures. 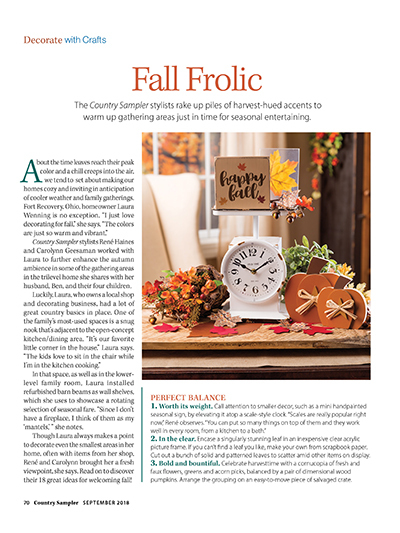 Glean tips for assembling your own autumnal arrangements from the vibrant ideas for gathering spaces shared in Thrifty Thinking. 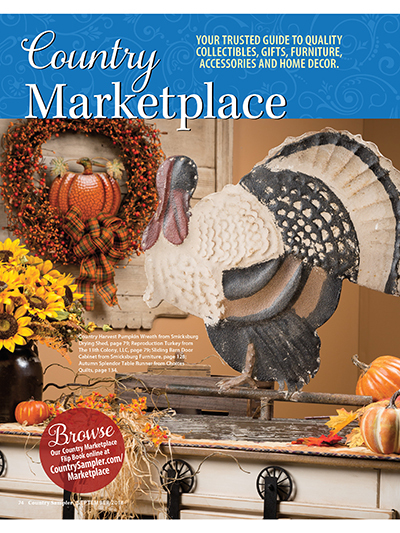 Revel in the inventive ways to transform everyday goods into seasonal decor in Creative Conversions—and gather interesting facts and figures about noteworthy antiques in Antiques Q&A.